Policemen and immigration officers, trying to be helpful, welcoming? What was this? What was wrong with these people? This welcoming smile pervades the whole Malaysian nation it seems. From the hotel to the shopping malls, to the street hawkers and garden attendants, from the gardeners to the executives all are smiling. I checked into the Traders Hotel, right in the KL Convention Centre and again the standard of service was simply overwhelming. OK, the consistently happy smiling faces around me were now accepted as part of the Malaysian way of life. But to dial the Service Centre over an Internet connectivity problem and be greeted by the operator, “Good afternoon Mr. Bonar, how can I help you?” was a definite curve ball. A seemingly happy and irrepressibly smiling young man from housekeeping would clear my room, bring me an extra supply of low-calorie sweeteners and ask if there was anything else I needed before leaving. The waiters on the 33rd floor SkyBar with its view of the iconic Petronas Twin Towers were all enthusiastic in offering seating, a menu and bringing beverages. Everyone, but everyone, was falling over themselves to make sure I was taken care of. The electric shuttle cart that sedately transfers guests between the hotel and the Suria KLCC shopping mall that lies between the Twin Towers were solicitous about getting me on board with my prosthetic leg, and the valets at the hotel entrance rushed to open doors and assist me out of cars. While my experience of such beyond-the-call of duty levels of service were in the Traders Hotel, the four-star chain within the legendary Shangri-La family, they are by no means unique. Ismail Mussa, a British expatriate working in the travel industry here for last eight years says he has yet to meet a tourist not happy with their Malaysian experience. I arrived expecting tropical heat and clingy humidity. I found temperatures at a consistent 29 degrees Centigrade with not unpleasant humidity. People rarely wear jackets except in air-conditioned offices. Light trousers and polo shirts seem to be the uniform of the city. With its annual Formula 1 Race, splendid local golf courses and easy access to the Genting Highlands mountain casino and amusement park resort, KL is attracting more tourist interest fuelled by competitive fares and impeccable service from Emirates airlines. The hub of commerce, politics, culture and education, Kuala Lumpur’s skyline is a striking contrast of ultra-modern structures and charming heritage buildings. The imposing 88-story Petronas Twin Towers, the world’s tallest twin building, is a major draw for most visitors with the complex including the fabulous six-floor 140,000 sq m Suria Shopping Mall with everything from Gucci to KFC. Every visitor should head to the KL Bird Park. The world’s largest free-flight walk-in aviary it boasts 3,000 birds of 200 local and foreign species including Brahminy Kite eagles, Flamingos and Hornbills. 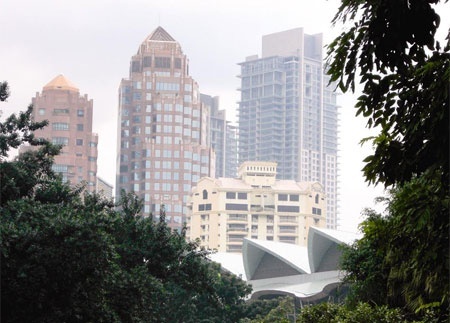 It covers 21 acres of the 91 acres lush valley of the Kuala Lumpur Lake Gardens. 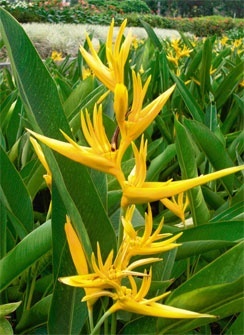 This is also home to the Orchid Garden, the Butterfly Park the Malaysian National Monument and the Deer Park. 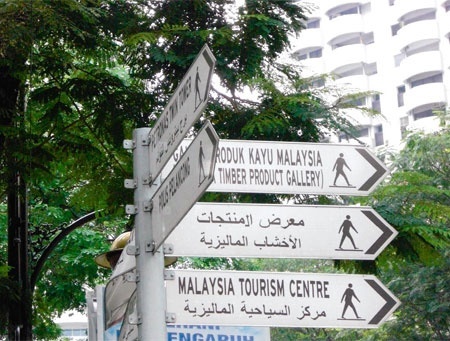 A million visitors a year head to Malaysia by road, rail and air from neighbouring Singapore. 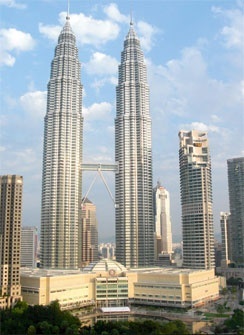 Many of them are weekend trippers to KL and they come because it is inexpensive. They leave laden with electronics goods, sportswear, fashion shopping, and with stomachs full of the fabulous food. Like most of the restaurants on Alors street, which runs parallel to the tourist magnet of Bintang Walk, Sam Kee’s is Chinese. Apart from a couple of Thai places, the cuisine on offer on this street is universally Chinese. When I say “on the street” I mean it. The kitchens are stalls on the pavement and the restaurant expands at night as traffic slows. More folding tables are brought out and set up, spreading over the pavement and spilling onto the road, first one lane and then two lanes of traffic replaced by al fresco diners. Sam Kee offers Claypot Ginger Wine Chicken, Fried Oysters, Steamed Fish, Grilled Fish and Fried Fish; Butter Saute Crab, Chili Crab and Kau Hiong Crab. Fabulous Food at fabulously inexpensive prices. Sam Kee is typical of what is called Hawker Food. Locals eat here all the time. A plate of chicken fried rice for example with a fiery sauce on the side is MR 6, or less than $2. I’m still thinking in roubles and just add a couple of zeros. So, 600 roubles for a freshly made dish that happily feeds two is a bargain in any language.